Our baby just turned 4 months and boy, is it ever getting fun!! I realized when she turned 3 months that we had to get some toys for her to discover. And for us to play with her! Let me share with you the ones she adores! Honestly, anything Oball is great! Whoever invented these toys is a GENIUS! Light & easy to grab, they are the best toys. And not too expensive either. Add it to your Amazon cart here. 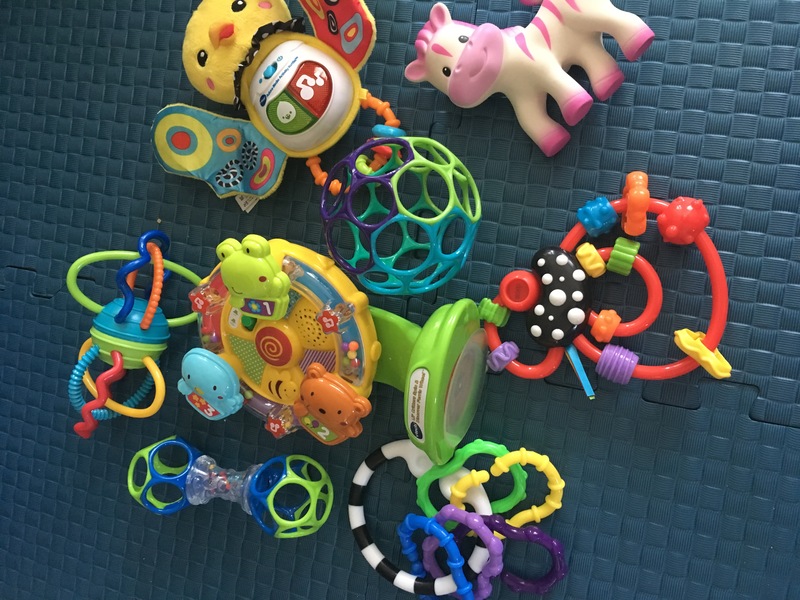 These were the first “toys” she ever played with! We got a few packs and we left them everywhere. She loves it! Also a life saver to hang my shopping bags on my stroller (uh-hum!). So cheap too, below $3 for a pack! Add them here. She loves this shaker! Again, easy to grab, light for her small hands and when she bangs it on her forehead it doesn’t hurt! Ha! Under $5, you can’t go wrong! Add it here. These. These are a lifesaver. You need to order a few packs. Saves me from washing the toys when we are walking around at the mall or outside!! Add them here. She loves this little rattle! For less than $5, its a great little toy! Add it here. This has been a lifesaver even before 3 months! We would clamp it on a table and entertain her while eating, etc. Now at 4 months, she actually turns the wheel and plays with it. Best small purchase that will last you a few months! Another one for Oball! Very light, she finds it interesting to play with. Not quite turning it around yet to make it click but soon enough! This toy is hanging on the back seat of our car permanently. She loves it. It distracts her and comes in handy when she’s having a fussy day!! It lights up and really grabs her attention at night! Add it here. 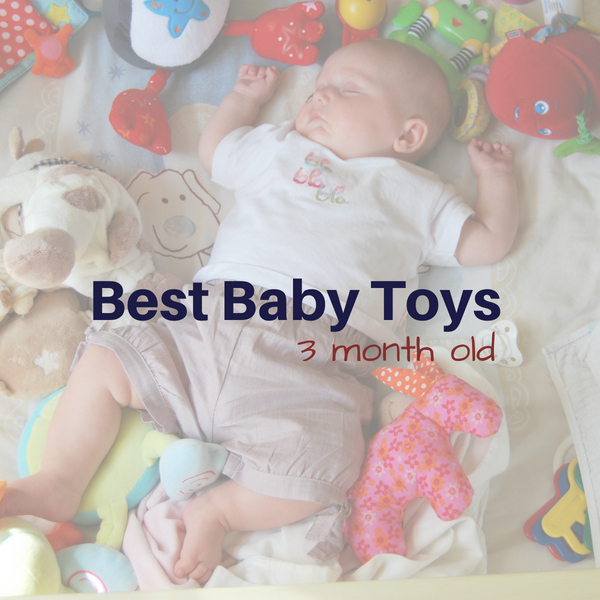 Similar to Oball, this toy is super light and easy for her to grab and swing around. Softer on her gums too when she feels like chewing. You can find many variations of this toy. We bought this one as it was on sale. Add it here. This little birdie has been entertaining her since she was 2months old I believe. She now loves to play with its crinkly wings and it chirps every time she moves it! Great interactive toy! I love Vtech! Add it here. You can see some of our toys here! We love Amazon and we love our toys!! Hope you enjoy these toys as much as we do! If you’re expecting your first baby, really consider having an Amazon Registry! Its the best and has so many options. Register for free below.